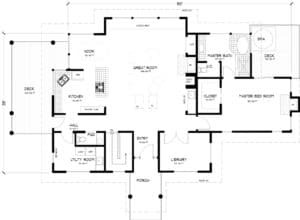 Today, plans to build a house take hundreds of hours to prepare, countless sheets of drawings, expensive engineering and careful detailing to meet the stringent building codes and engineering criteria of our various regions. Our plans comply with the country’s most demanding building code, because of earthquake, wind and snow load engineering, the California Building Code. 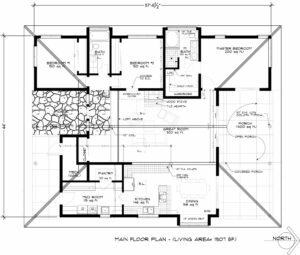 For an architect to create a new design and set of working drawings, you would normally pay roughly $15 per square foot for a complete set of plans. 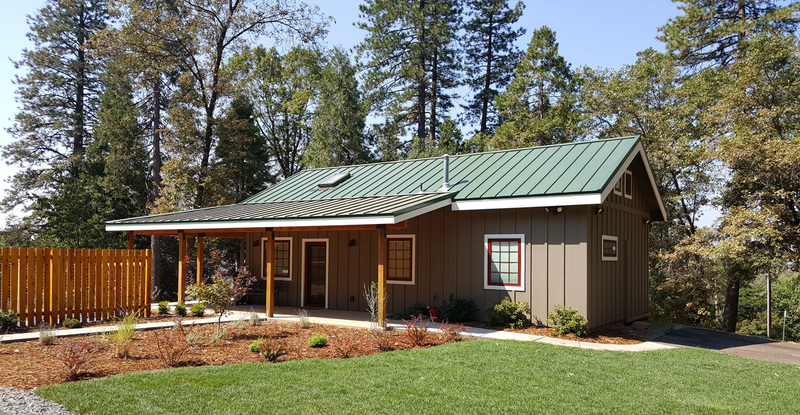 All of our plans are designed and specified to be constructed using structural insulated panels (SIPs), but they can also be built using well insulated standard, or “super,” wood framing if you desire. 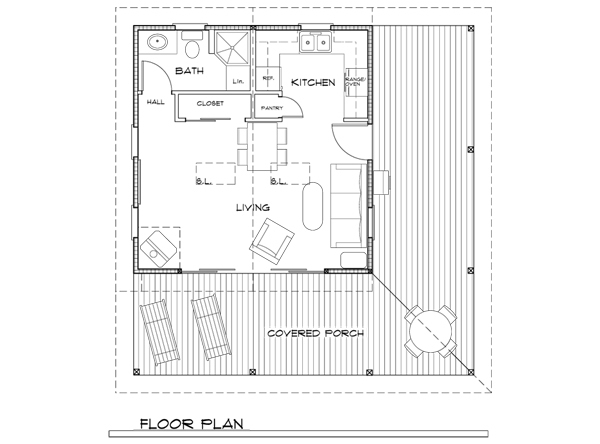 The fact is that, priced as they are, the plans in our house and cabin portfolio are a very good deal. 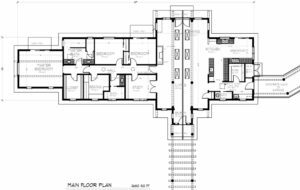 You receive complete CAD file drawings of custom titled, complete and ready to go plans that do not require redrawing as most catalog purchased plans do. 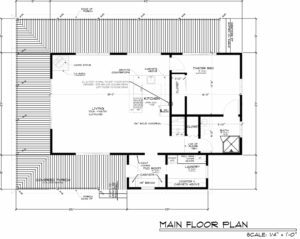 Even hiring a draftsperson to produce a set of complete working drawings for you will cost more than our competitive rates. 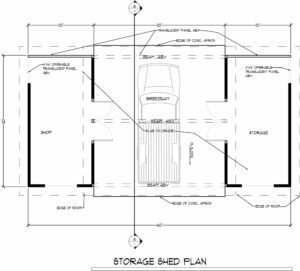 The plans need to be reviewed by an engineer for your specific climate and structural load conditions. 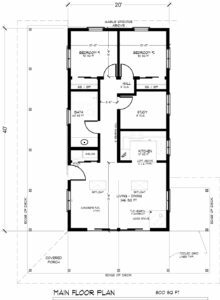 Our designs may be stronger than needed in your location, and often the structural member sizes can be reduced, saving cost and helping to pay for the local engineering recheck. 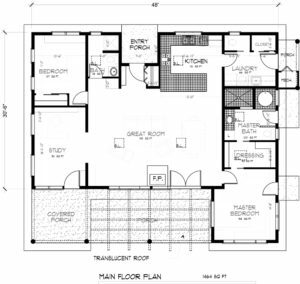 When you purchase our predesigned house or cabin plans, you and your builder will be pleased with the quality, clearness and completeness of the drawings. 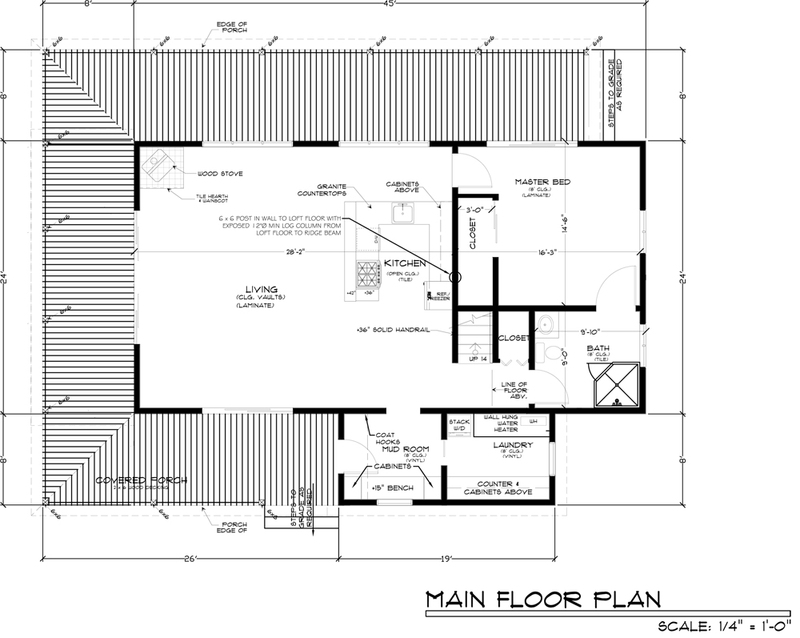 We also include the electrical, plumbing and mechanical plans as well as the specifications. 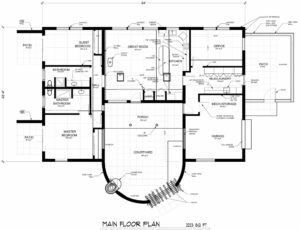 You get a complete set of working drawings that will satisfy your building department and your contractor. 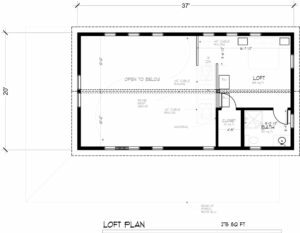 Your building department will require site specific structural calculations and may require energy compliance for a building permit. We can provide these at minimal cost in California. 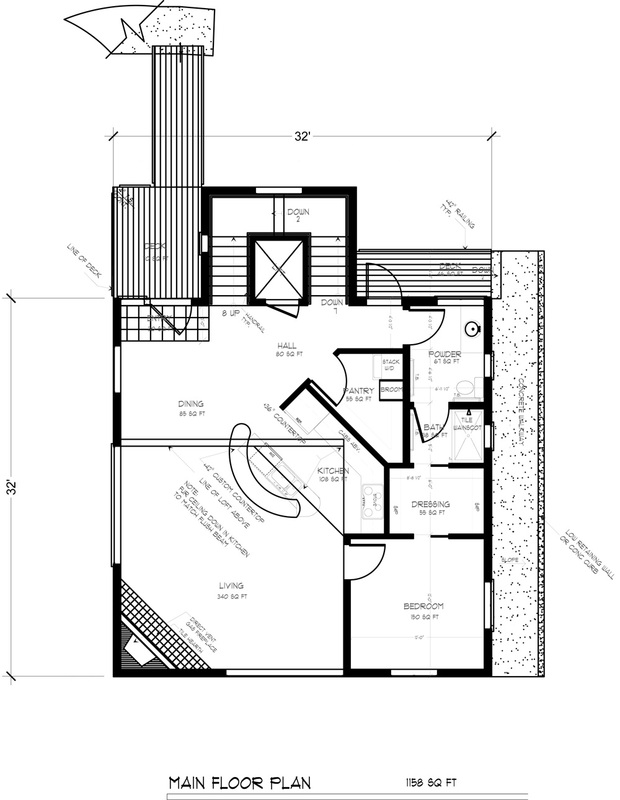 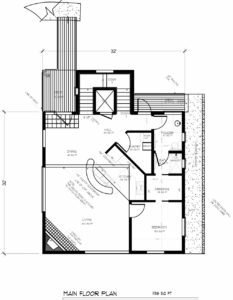 In other states you will need to have a locally licensed architect or engineer review, approve and stamp the working drawings, provide calculations and fill out forms as required. 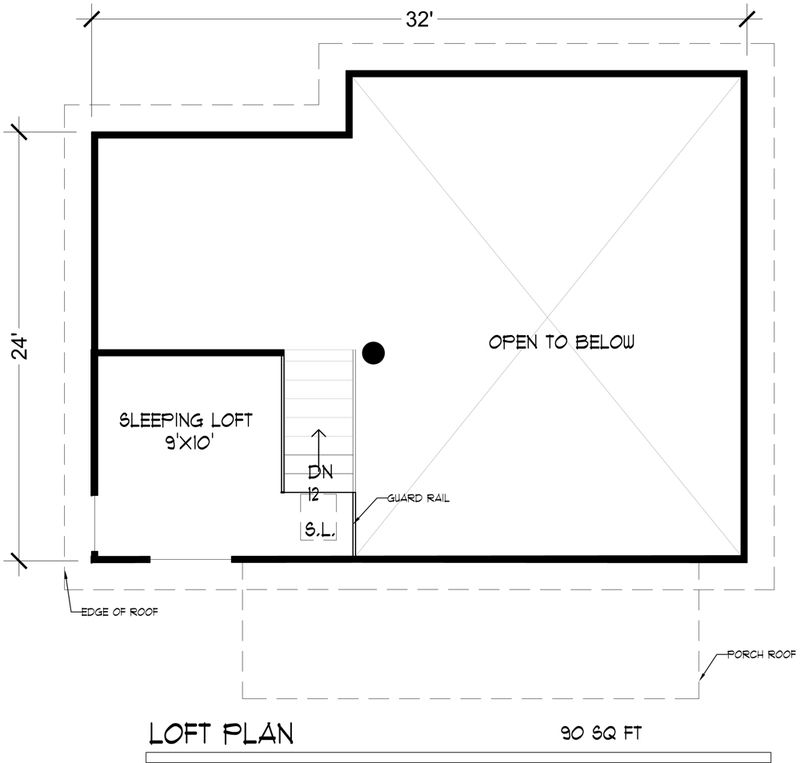 Sheet # 2 of our working drawing package is reserved for a site plan. 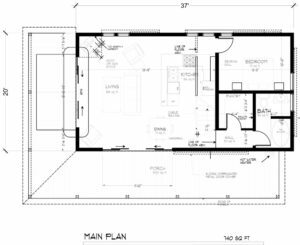 This must be provided by a locally licensed architect or engineer to show the location, sewage system, water system, setbacks, and other site specifics required in your building jurisdiction. 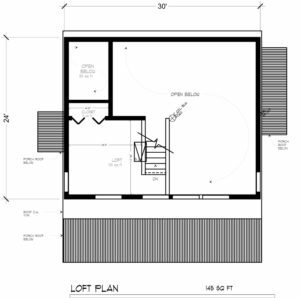 We continually update the plans to comply with the latest building codes and regulations which change frequently. 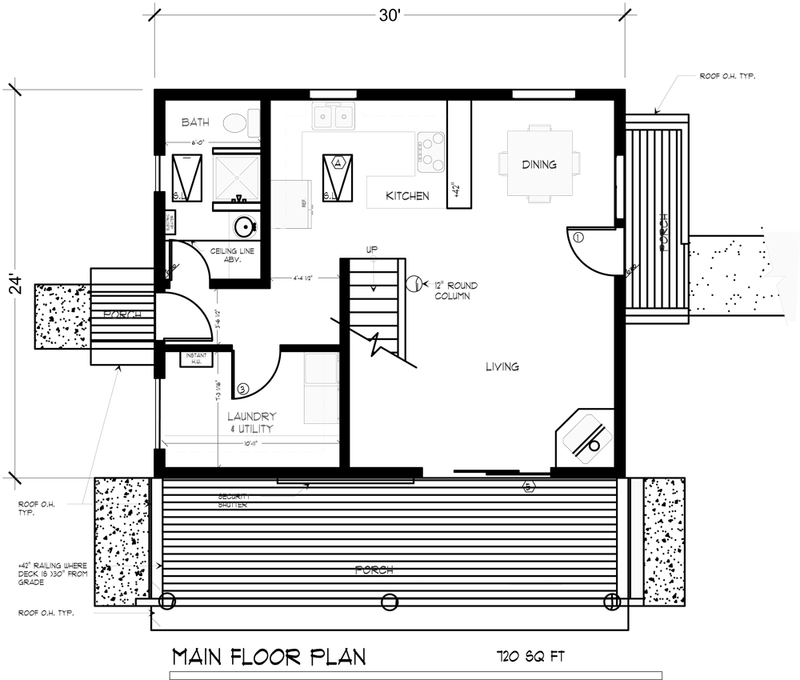 We improve the designs and details to keep them cost efficient and easy to build. 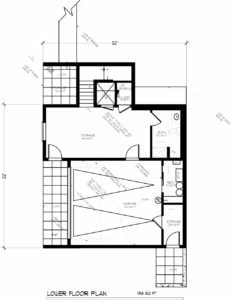 We have a library of variations on individual designs that we have done for customers over the years, so if you request a plan to be modified to suit your specific needs we may already have a plan variation that works for you. 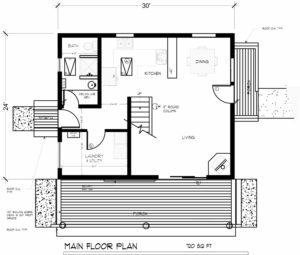 If we do not have the modification you are looking for each design can easily be modified to suit your site and the exterior look you desire. 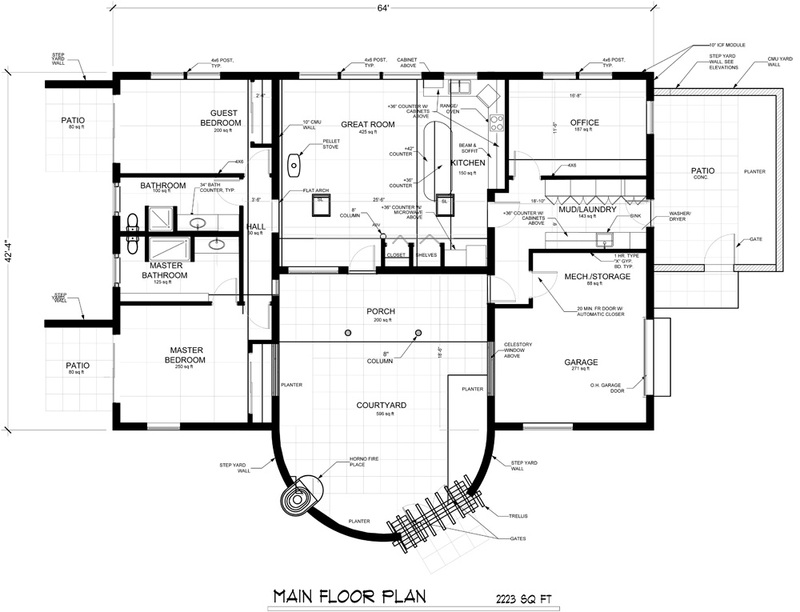 For instance, you can change room sizes, exterior materials or type of foundation. 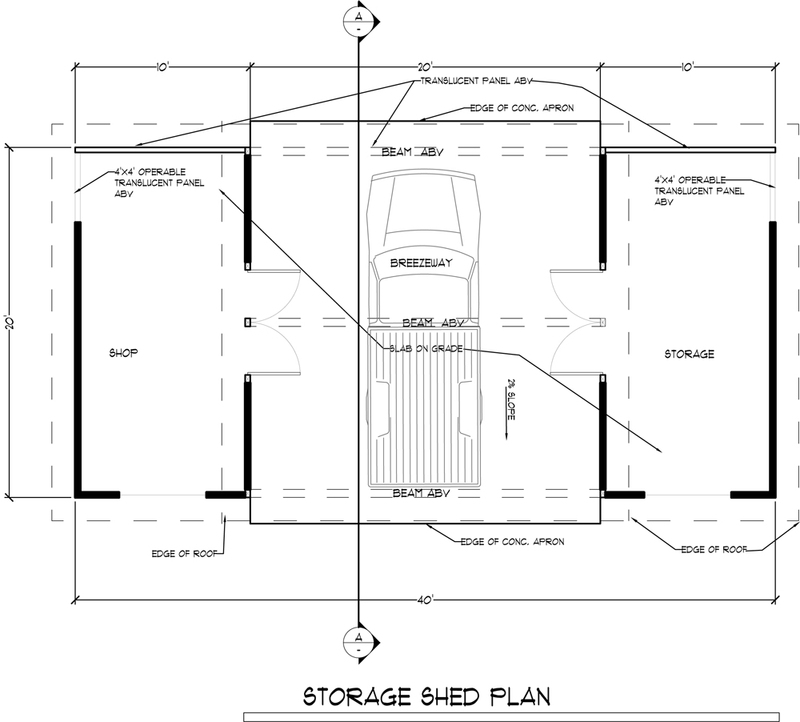 Our plans are on computerized 3-D software and we will make any reasonable modifications to the drawings that you request at an hourly rate. 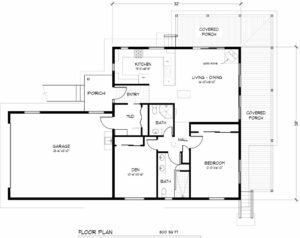 We are certain that you will save money through out the construction process and that you will have a valuable architecturally designed house to live in and enjoy! 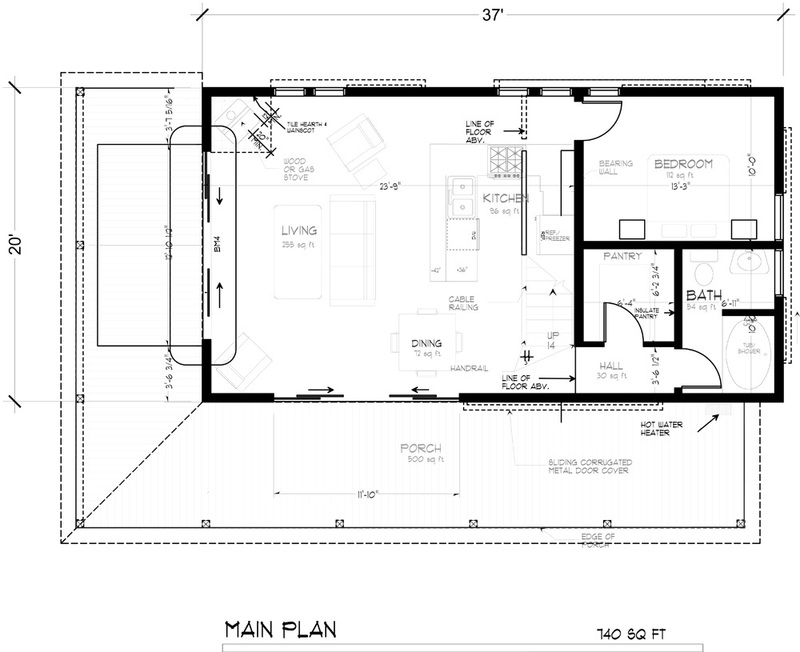 You get all of this for an average price of less than $1.50 per square foot. 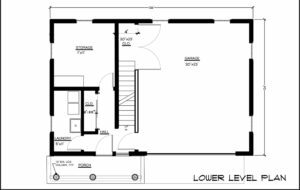 Out of respect for our former clients we cannot provide you with names, addresses or visitation opportunities to the original building. 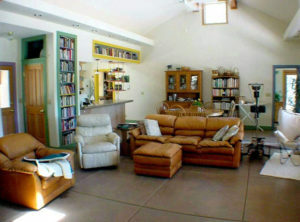 In some cases we can provide digital photographs. 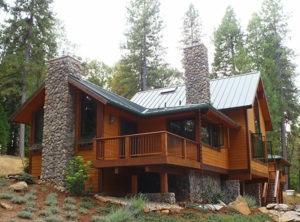 You can telephone, 530-477-5057 or email us for pricing, ordering and further information. 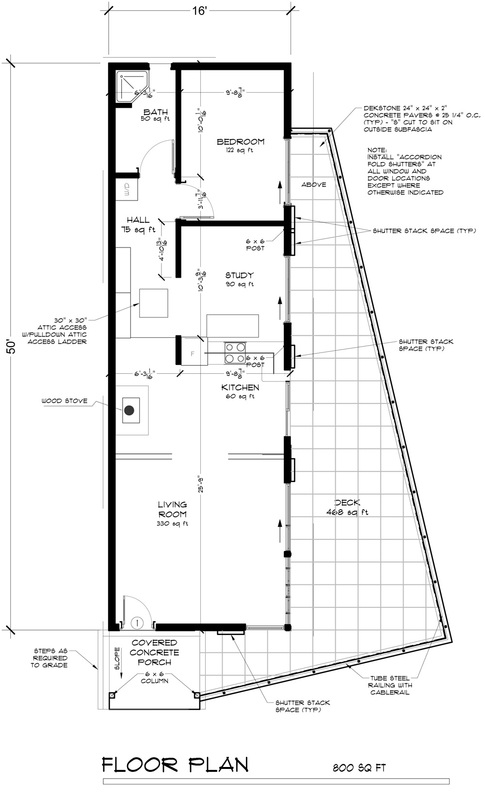 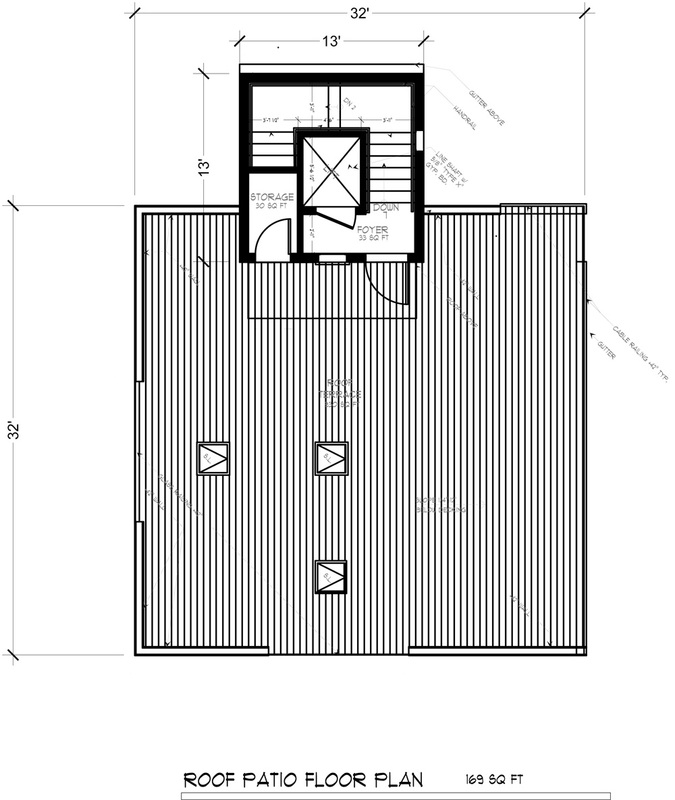 Foundation (& Floor Framing) Plan — Code compliant with dimensions, details and schedules. 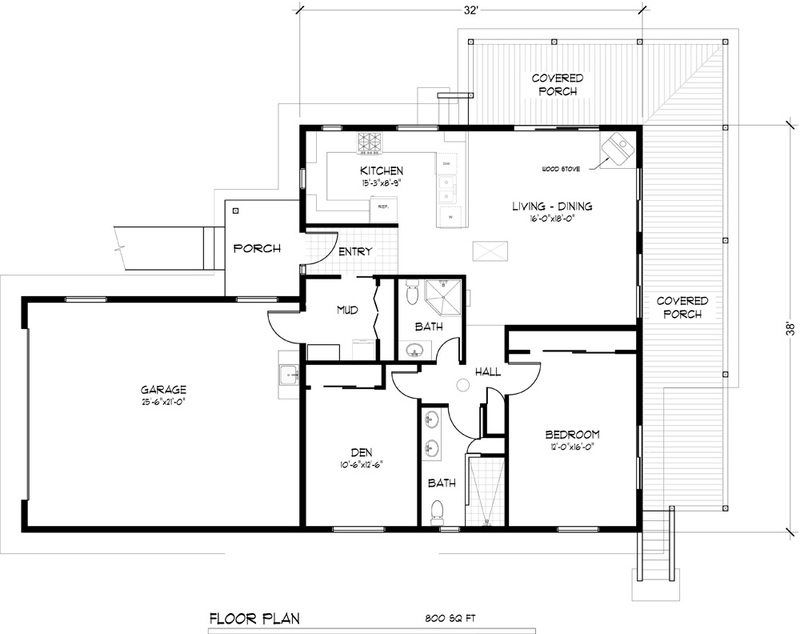 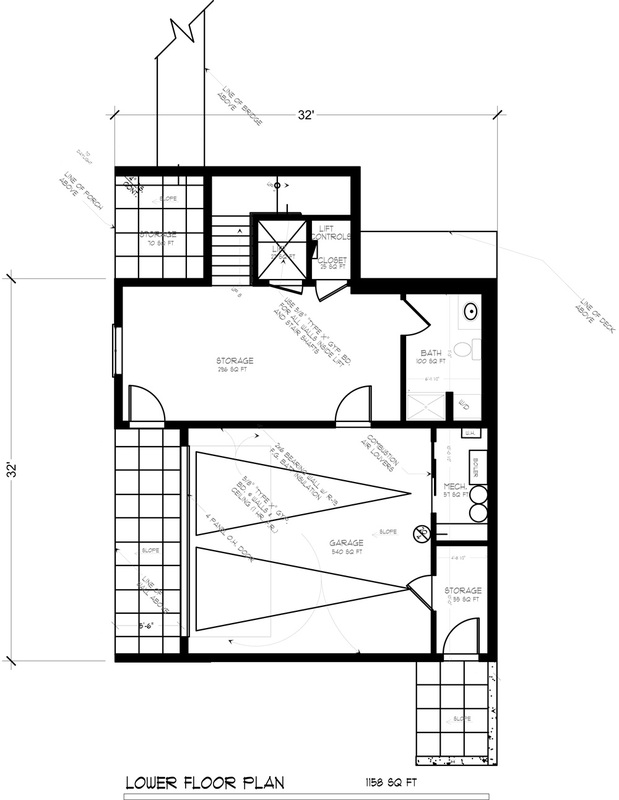 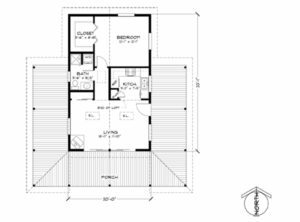 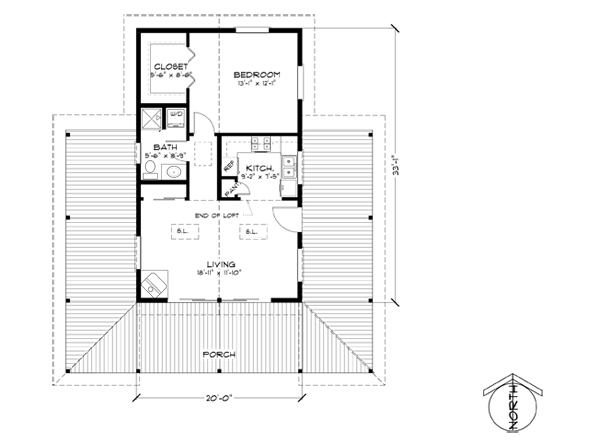 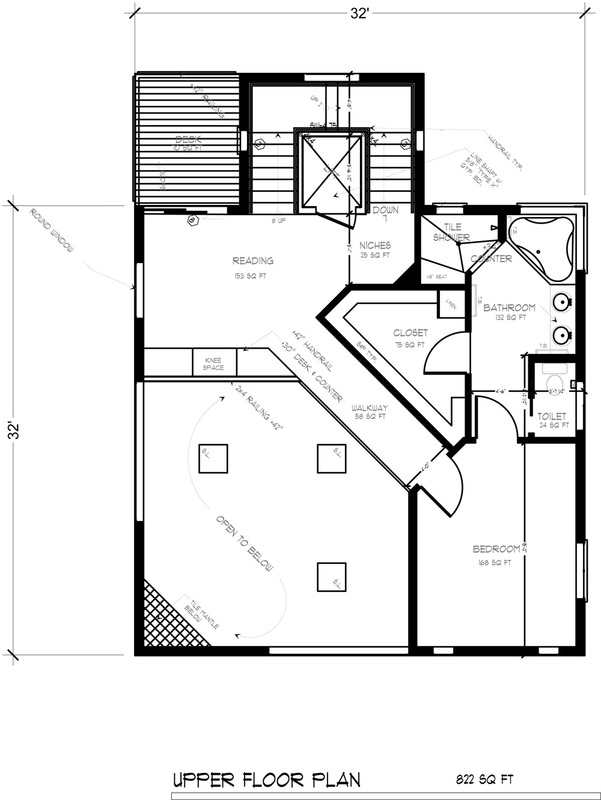 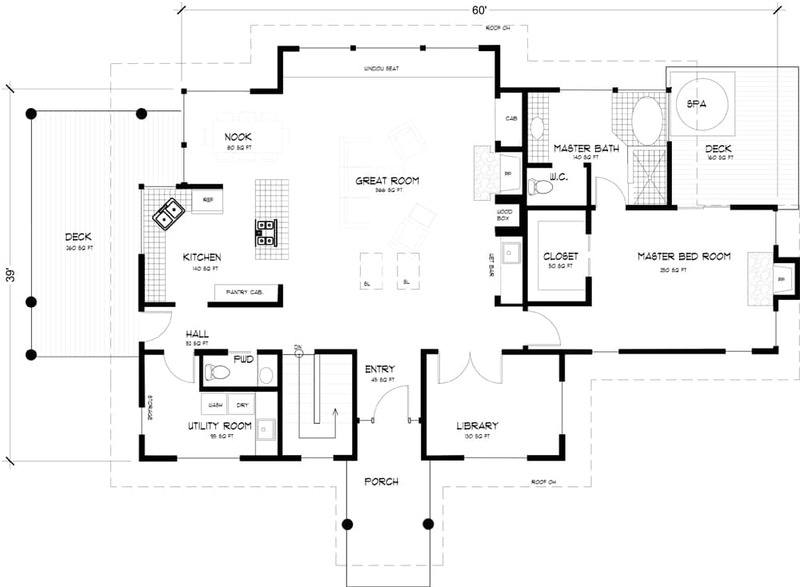 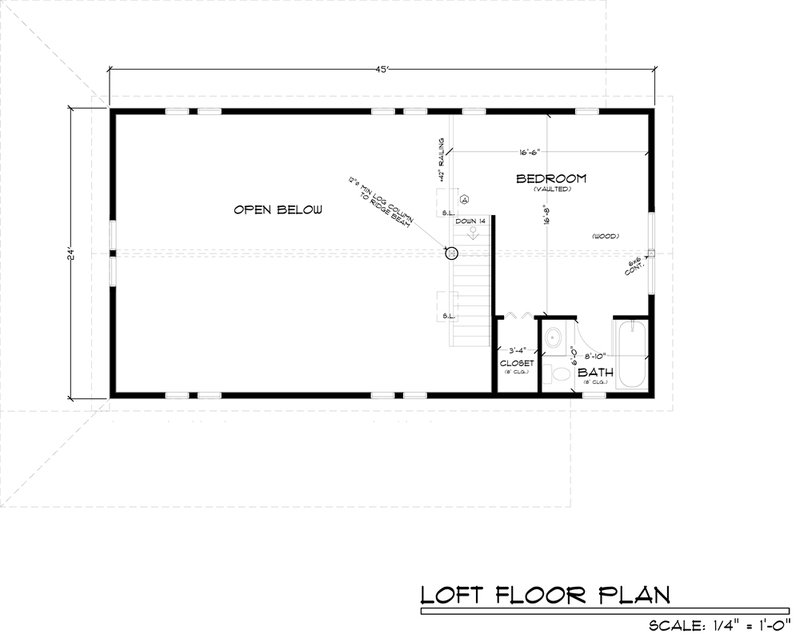 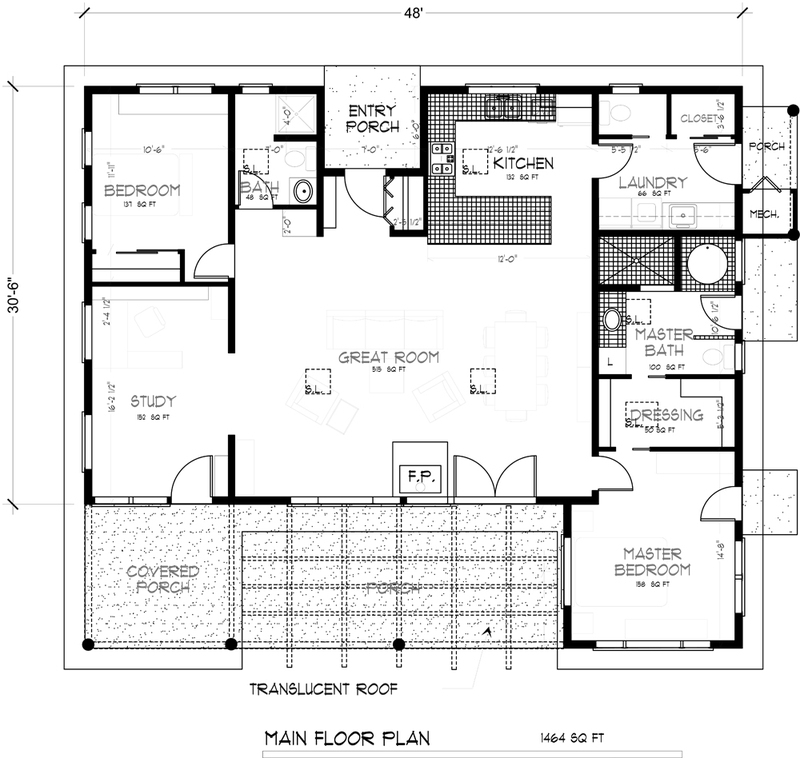 Floor Plan — Code compliant with structural callouts, window and door sizes, etc. 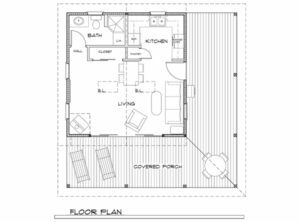 We have selected these popular and award winning house and cabin plans from our large architectural archive of designs from across the country. 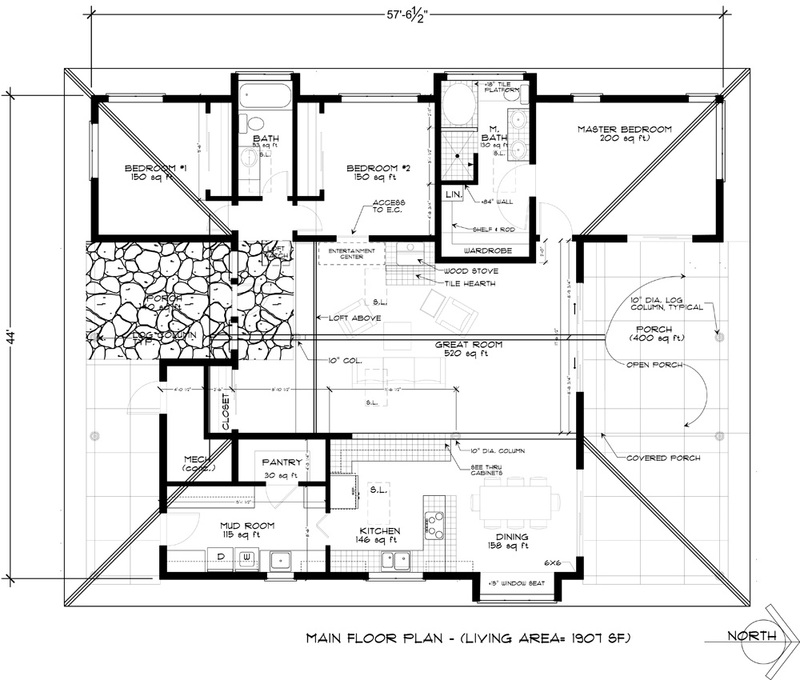 These plans have been built and proven to be efficient, functional and comfortable. 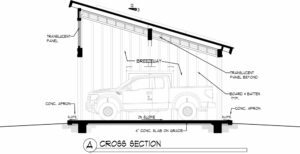 We have received words of thanks from owners who have had us design them and the contractors who have built them. You can telephone,530-477-5057 or email us for pricing, ordering and further information. 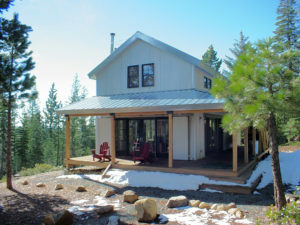 A dramatic 2 bedrooms/ 1/3/4 bath traditionally styled mountain cabin designed for all the seasons. 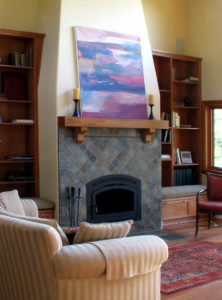 Published in Sunset Magazine in August 2006, and selected for a special award in 2005 the Tahoe Quarterly Awards issue. 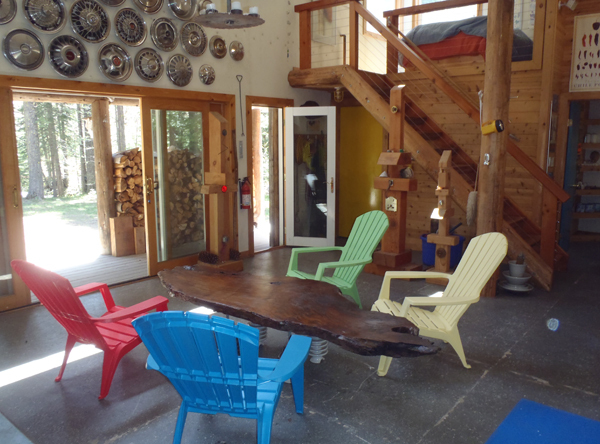 (Off-grid solar electric, passive solar heating and cooling, solar water heating, SIP construction, fire and vandal proof, loft, and wrap around porch). An expanded version of the very popular High Sierra Cabin I, this traditional styled two story house or cabin fits into any environment. 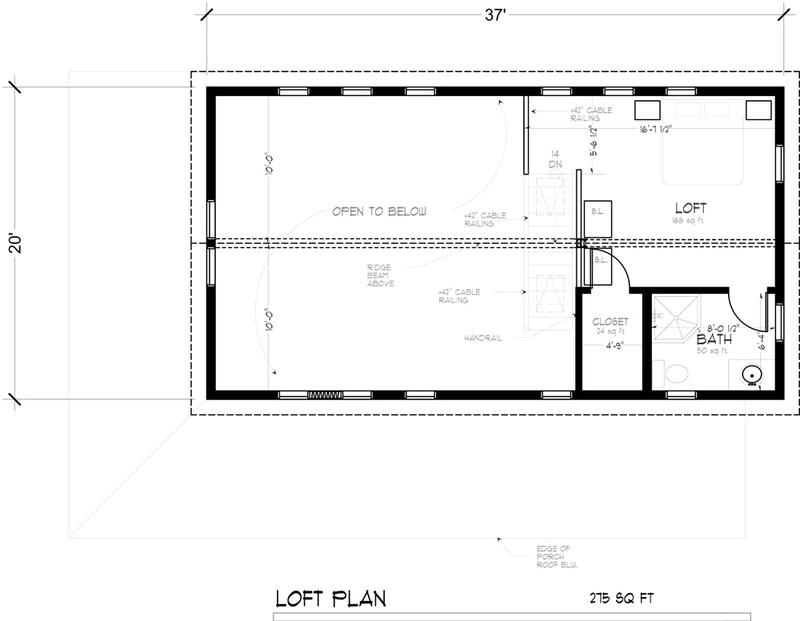 We have added a Mud Room entrance which acts like an "air lock" entry that can incorporate a laundry or even a sauna. 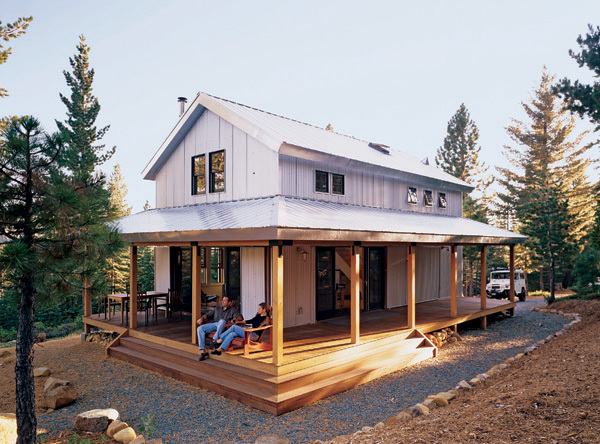 The wrap around covered porch facilitates outdoor living, wood storage, or a host of other activities. 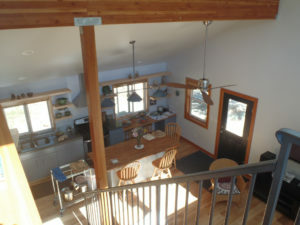 Inside we have expanded the downstairs bath, Great Room; while upstairs the enlarged loft can accommodate a 3/4 bath, large bedroom or bunk room. 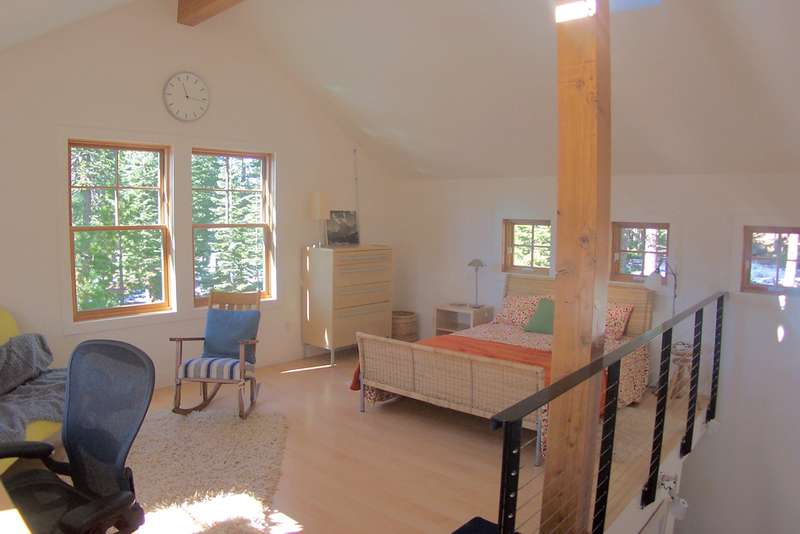 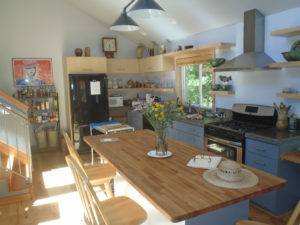 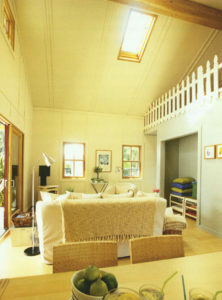 The same design as the popular “SUNSET VACATION CABIN” published in the August 2002 issue of Sunset Magazine, with a full bedroom and bath, bigger loft, and a larger covered porch added. This cabin is large enough a family summer or winter cabin. 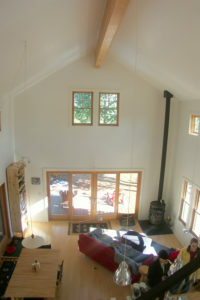 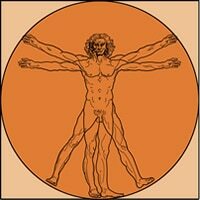 (Passive solar, solar electric. 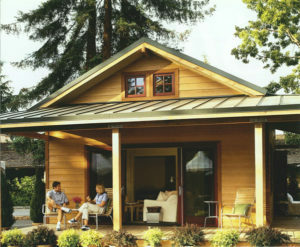 Solar water heating, SIP or wood frame construction). 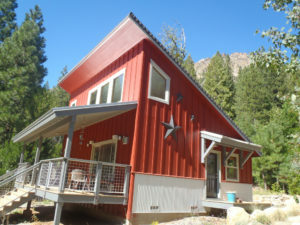 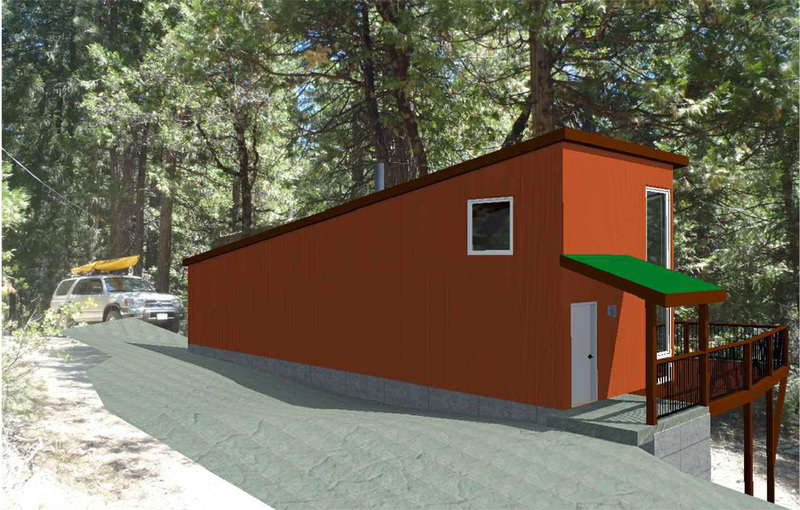 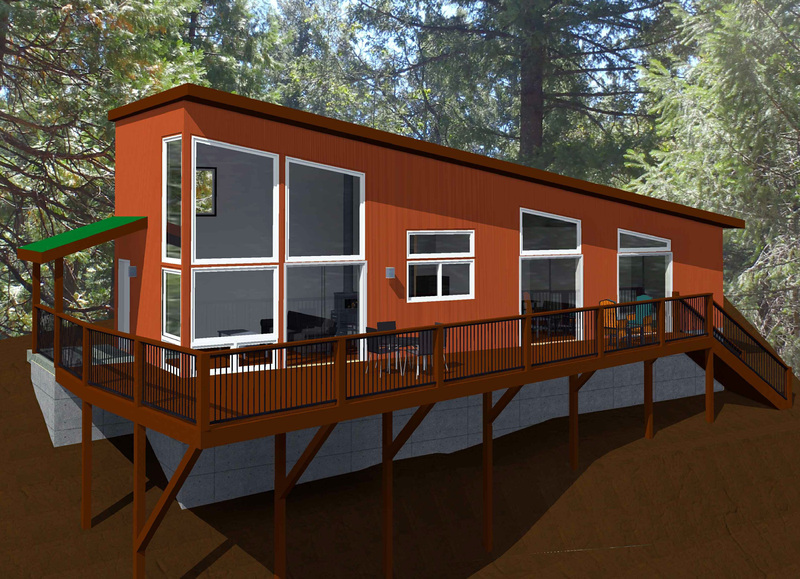 A further expanded version of the popular SUNSET CABIN l & SUNSET CABIN ll, this 2 bedroom, 2 bath cabin is large enough for a family vacation or for a couple’s home. 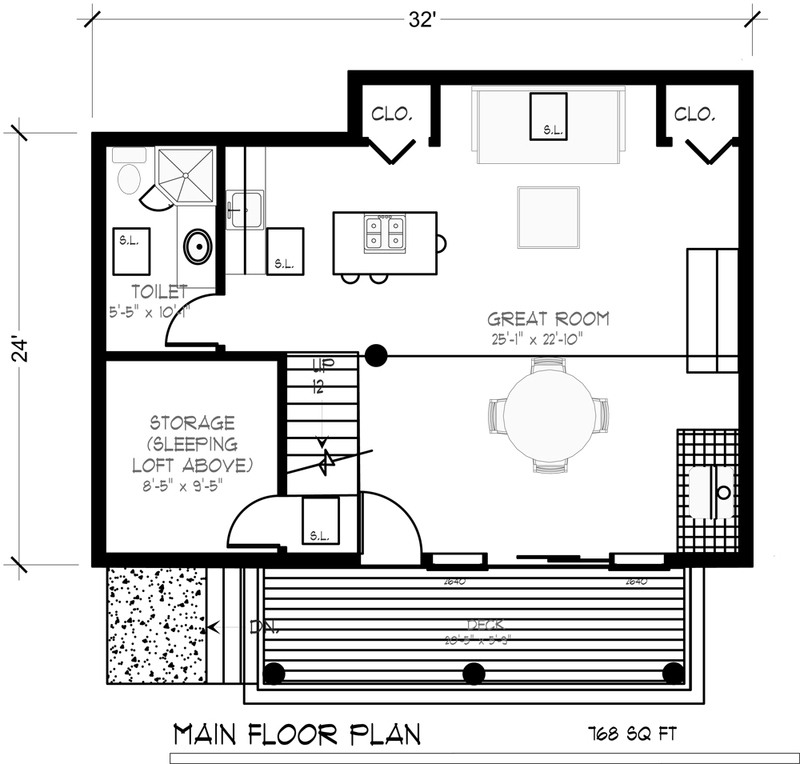 The second room is perfect for a home office, or kid’s room. 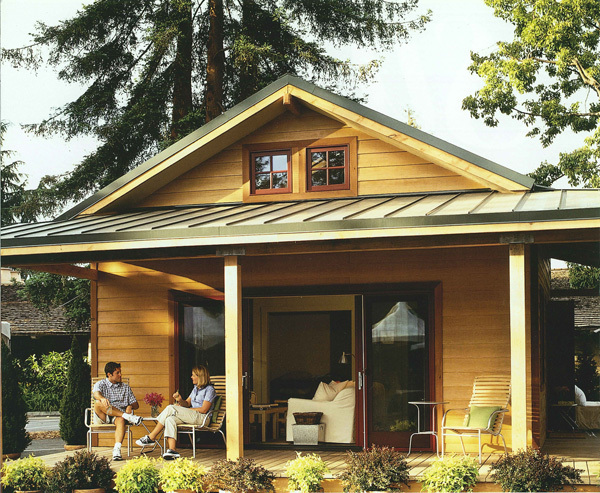 The wrap around porch can extend along any side to work with your site. 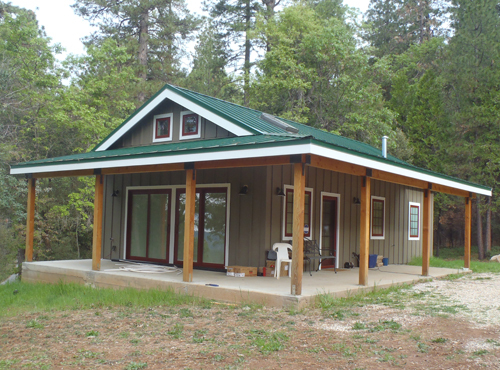 The exterior can be finished in a wide range of materials to suit your personal tastes. 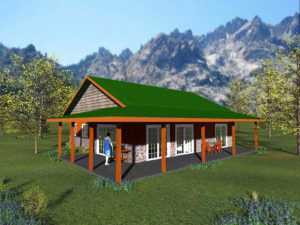 A rustic modern cabin This efficient compact cabin has a master bedroom, bath, office/study/second bedroom and an expansively windowed great room. 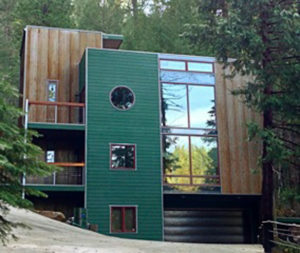 Originally designed for a site adjacent to a mountain road one side is shielded, while the other if completely open to view or sun light. There is room for a second level loft. With a full range of exterior finishes and exterior security shutters, this dramatic cabin can fit into any environment. 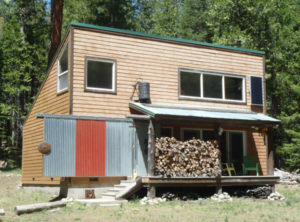 A modern one room /one bath cabin with a sleeping loft; used as a sculpture studio retreat by the architect. 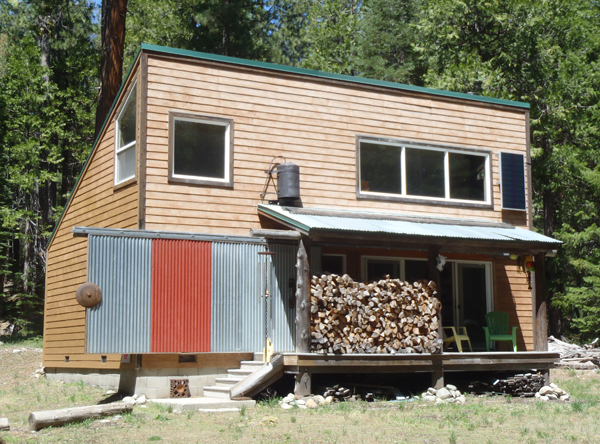 (Passive solar, off- grid solar electric, solar hot water, SIP construction, fire and vandal proof, sleeping loft and covered porch). A variation of the modern one room /one bath cabin with an enlarged sleeping loft and extended deck. 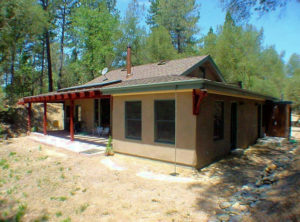 (Passive solar, off- grid solar electric, solar hot water, SIP construction, fire and vandal proof, sleeping loft and covered porch). 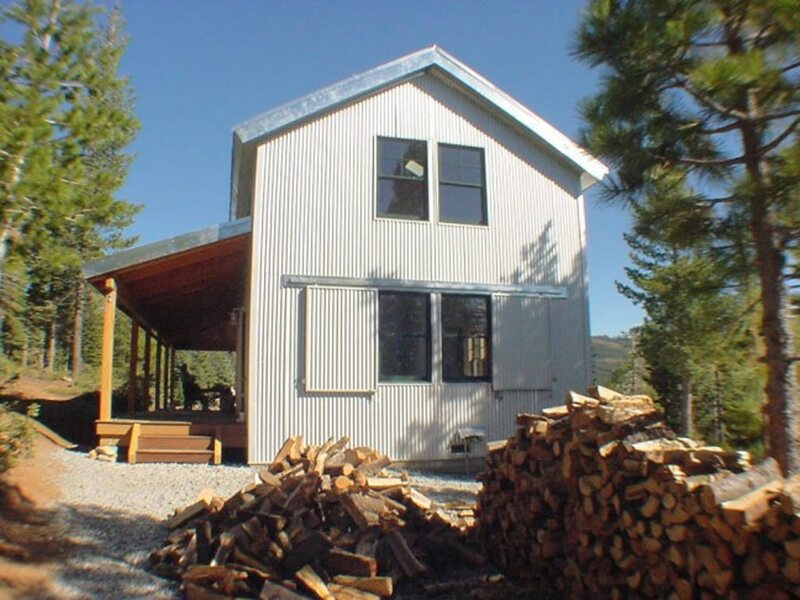 This attractive two story house is a popular starter house for acreage, when the main house may be built later. 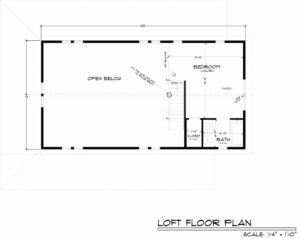 This functional building with a very flexible floor plan can contain; a two car garage, work shop, laundry room and storage on the lower level; with living dining kitchen, bedrooms and bath upstairs.. This traditional style can be finished with any type of exterior materials to suit personal taste or the neighborhood. 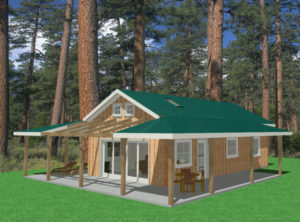 A Zen like 3 bedrooms/2 bath super livable cabin. (Passive solar heating and cooling, solar electric, solar water heating, radiant heated floors, SIPs construction, covered porch). A traditional Craftsman style 2 bedrooms/ 2 bath house with a courtyard and attached 2 car garage. 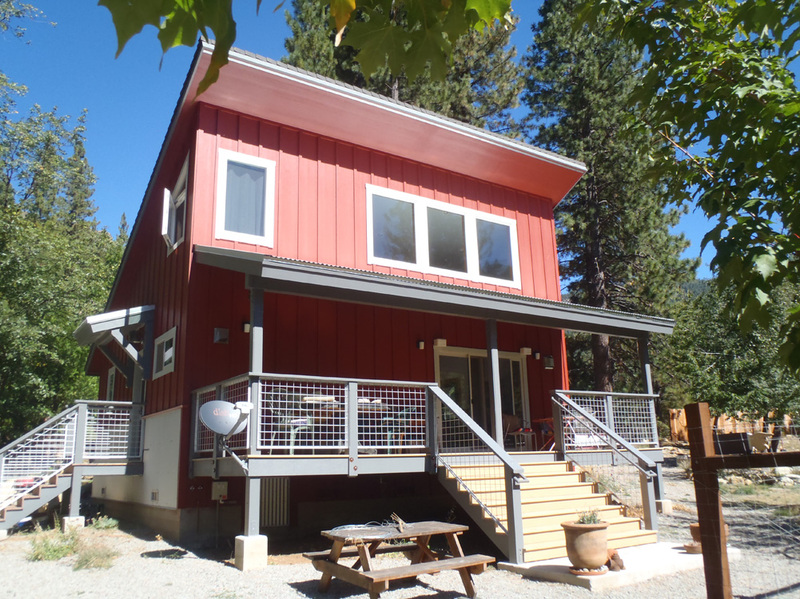 (Passive solar heating and cooling, solar electric, solar water heating, radiant heated floors, full basement living option, SIP construction). 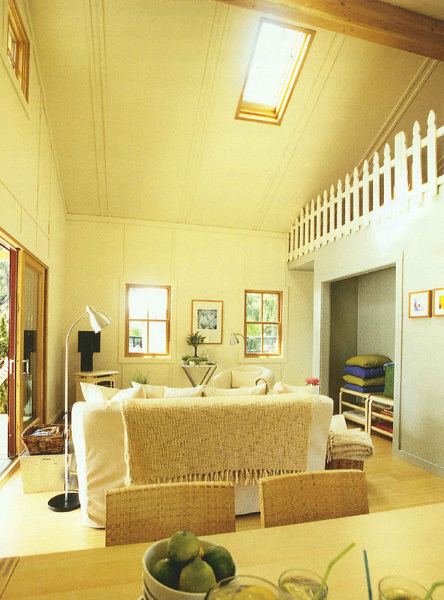 This modest “Granny house” is the perfect small retirement or guest house. 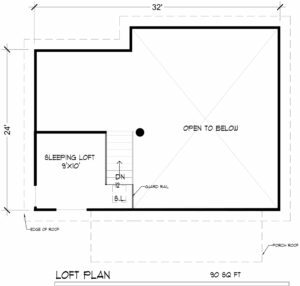 Well suited where zoning allows a second dwelling. 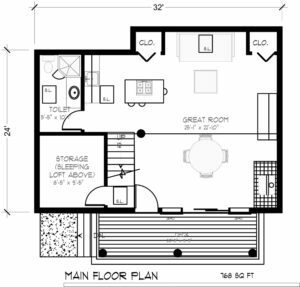 Designed for a couple to live comfortably, with a second bedroom, office, or study the plan includes two baths, laundry, pantry and spacious kitchen. 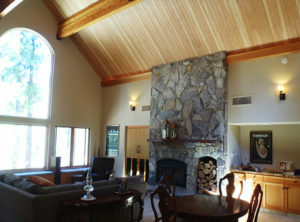 The living room and master bedroom ceilings are vaulted. 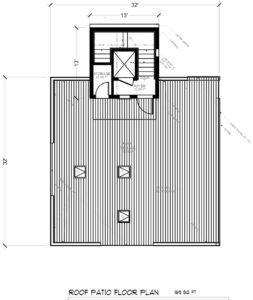 The large outdoor covered porch may be partially enclosed as a screen porch. 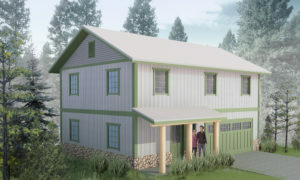 The popular traditional farm house styling will fit well with any community. 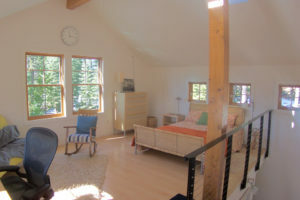 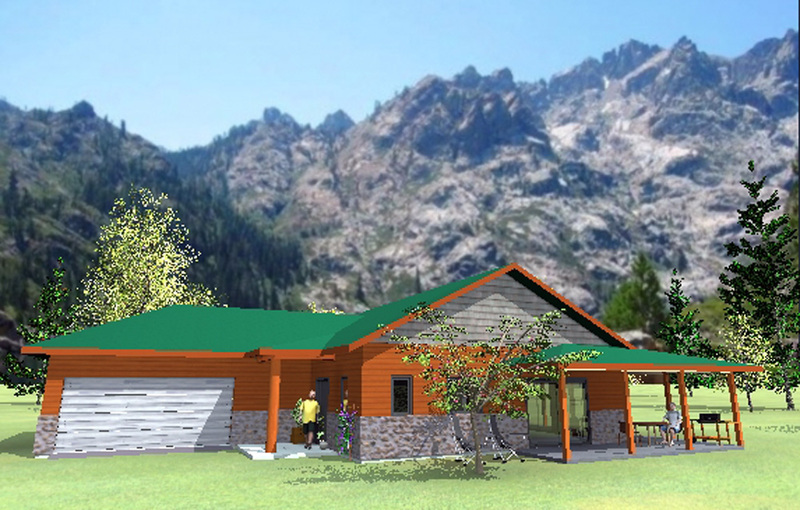 This charming mountain lodge is a one bedroom, two bath home with an office or library. The gracious interior spaces are wonderful for entertaining or everyday living. 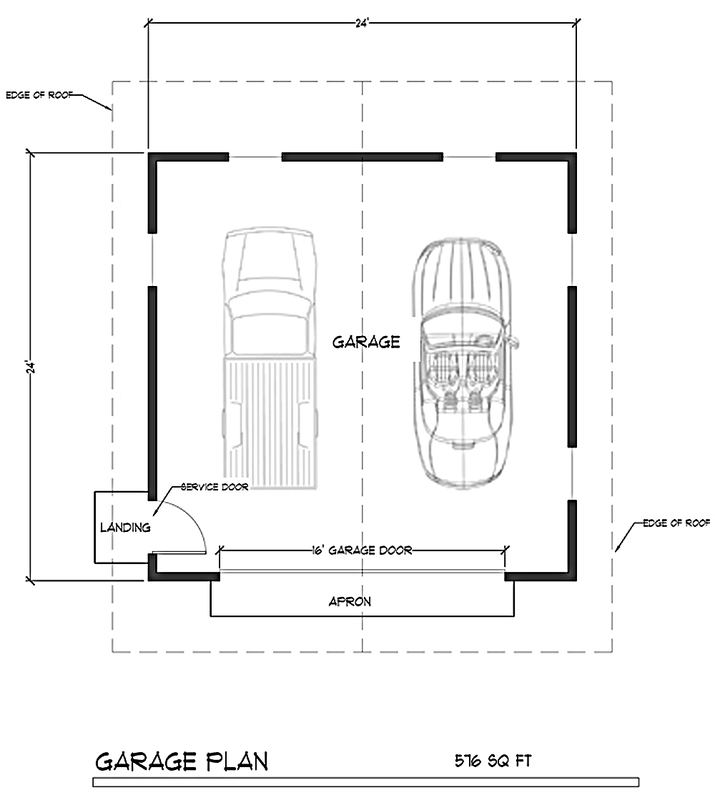 Designed for a retired couple, a guest house can be added or a garage below if your site slopes. A three bedrooms/ two bath traditional American farmhouse style with 21st century living good for all climate zones. 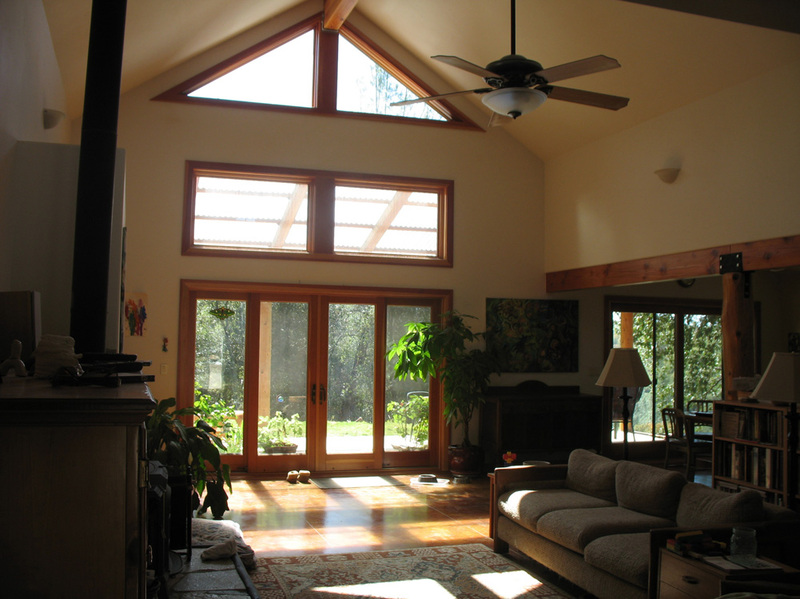 (Passive solar heating and cooling, solar electric, solar hot water, radiant heated floors, SIPs construction, covered porches). 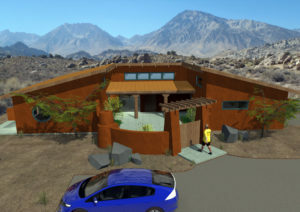 This Solar Farm House design is featured in the June/ July 2012 Mother Earth News Magazine. 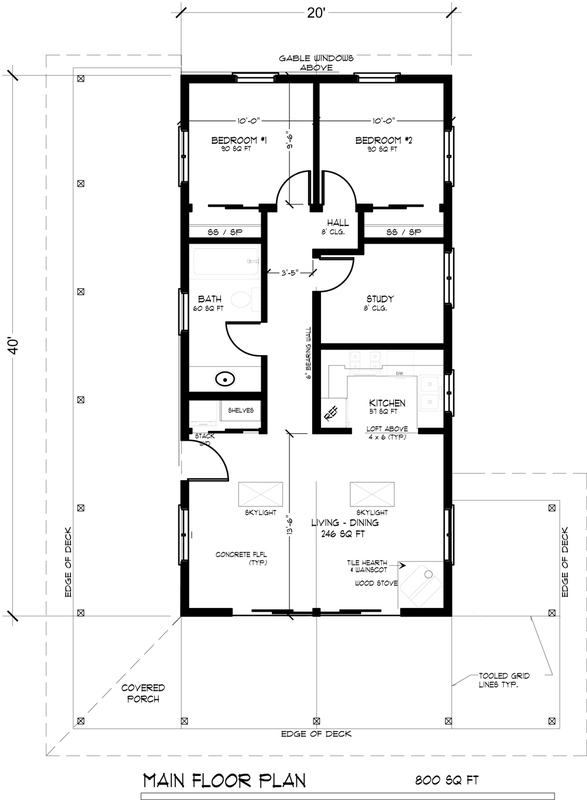 A dramatic modern 3 story house is great for property with a limited building area. 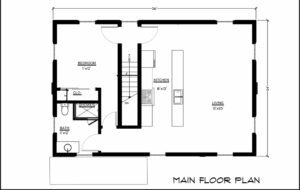 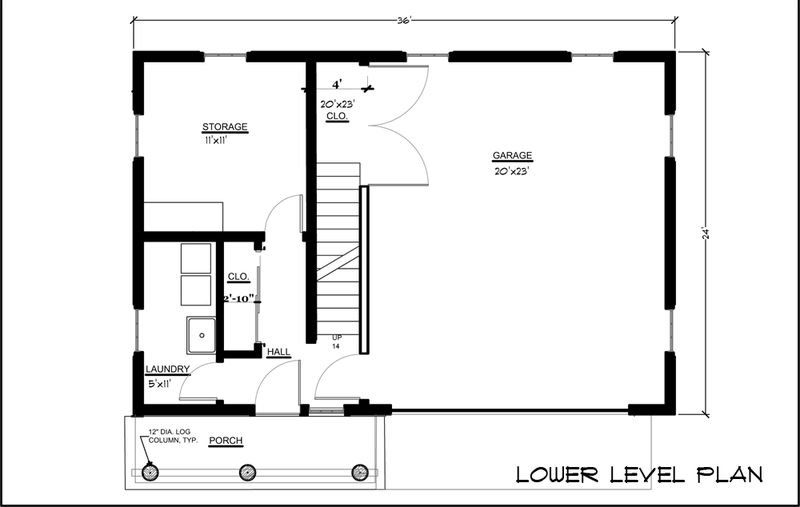 The lower level contains a two car garage, utility room and storage. 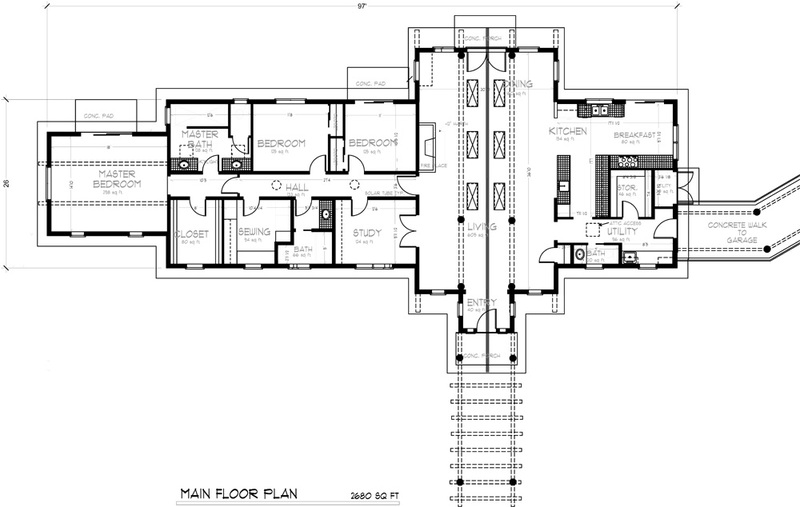 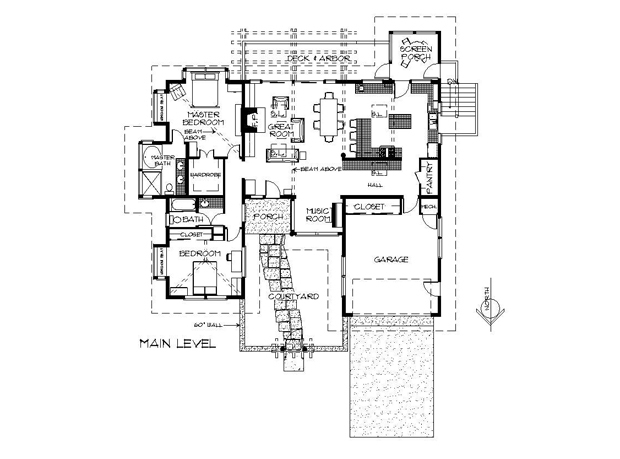 The middle second level has an entry deck, living, dining, kitchen, powder and guest suite; while the third floor contains the Master Suite, Bath and Office/study. 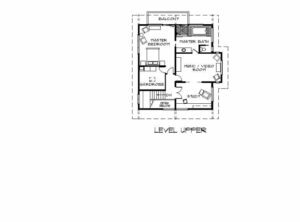 The roof level is a private outdoor recreation terrace with a large sky view. 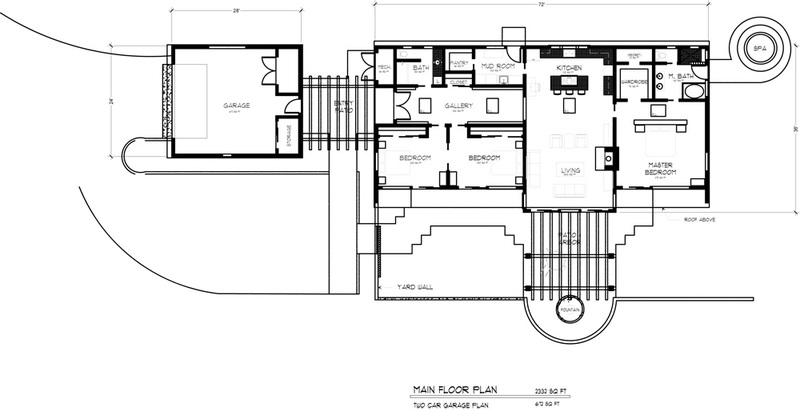 There is a stairway wrapped around the 4 story elevator for complete accessibility. 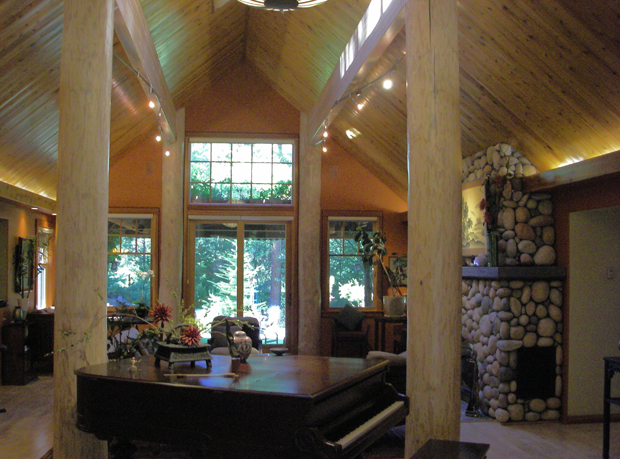 This beautiful architectural form can be clad in any color or textured material to add to your personal expression. 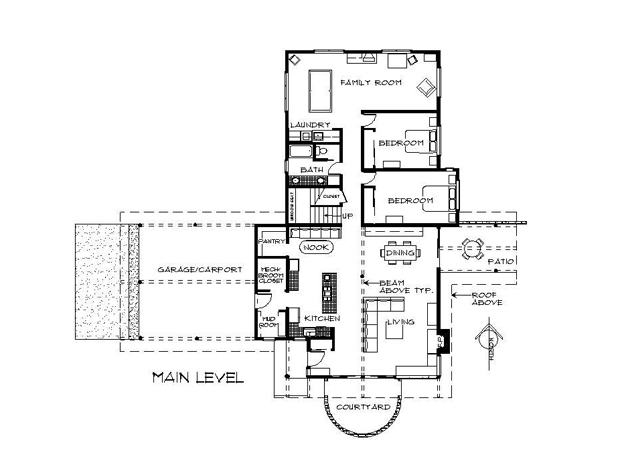 A stylish two story 4 bedrooms/3 bath house with a library, family room and attached 2 car garage. ( Passive solar heating and cooling, solar electric, solar water heating, radiant heated floors, SIP construction, covered patio). 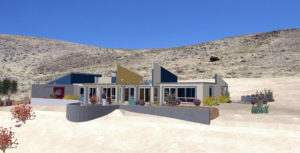 A striking and colorful 3 bedrooms/2bath home, designed as an off-grid solar desert house that will work well in any climate. 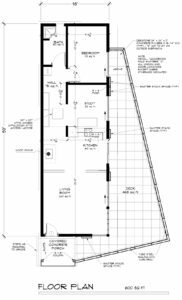 (Passive solar heating and cooling, solar electric, solar water heating, radiant heated floors, SIP construction, walled court yard, optional garage/utility room). This Adobe Hacienda wraps around a cozy enclosed courtyard, combining old world charm and the latest sustainability technology. 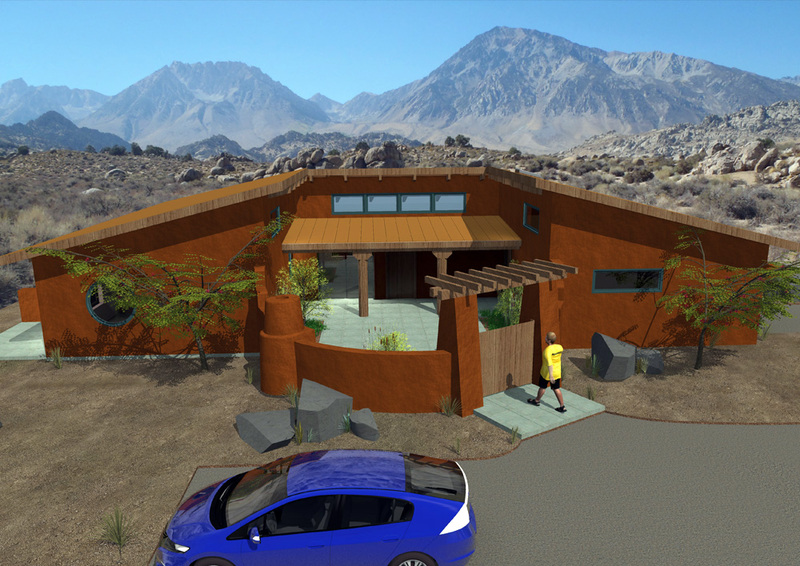 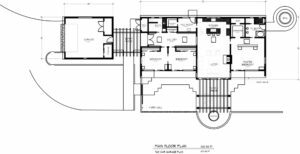 The flowing plan includes, a study/studio space near the utility zone, three bedrooms and two baths in the sleeping zone and designed for harsh hot, cold and windy environments, this house would blend well with the climates of the American Southwest. 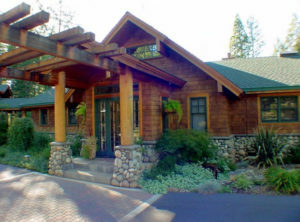 The original home used I.C.F. 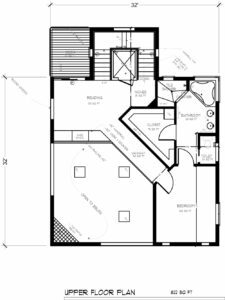 concrete and masonry walls, along with a S.I.P. roof creating an air tight comfortable home year round. Details reflecting the adobe heritage of the pueblo are integrated into this warm, charming, highly functional desert house. 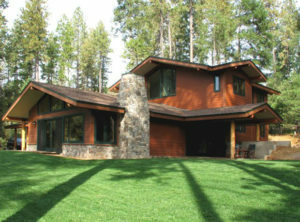 A Tahoe rustic style 4 bedrooms / 2 1/2 bath home with world class craftsman detailing. 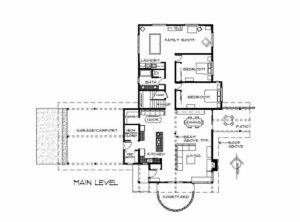 (Passive solar, solar electric, solar water heating, radiant heated floors, family room, library, SIP roof, optional 3 car garage, trellis). 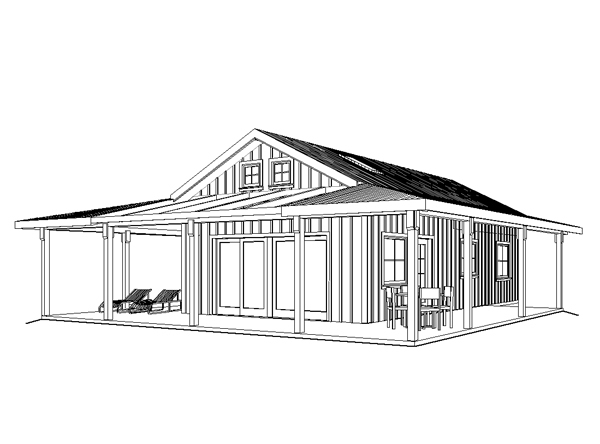 Below are a few basic garage and shop building designs to compliment any of our cabin, lodge, house or cottages plans. Designed as stand-alone structures, these utility buildings can be attached to almost any house, either directly if site conditions allow, or by a breezeway. 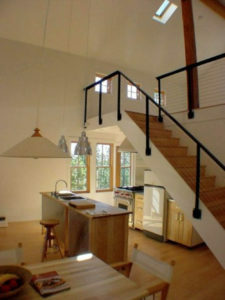 Each of the pans can be modified in plan, or exterior finishes, to match the “look” you wish. 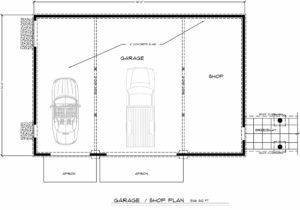 The garage & shop plans are complete ready to permit and build. 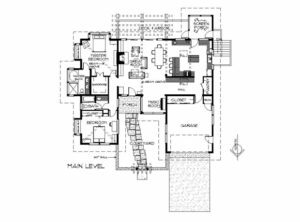 Some parts of the country may require additional structural engineering analysis be done locally even though these are simple buildings. 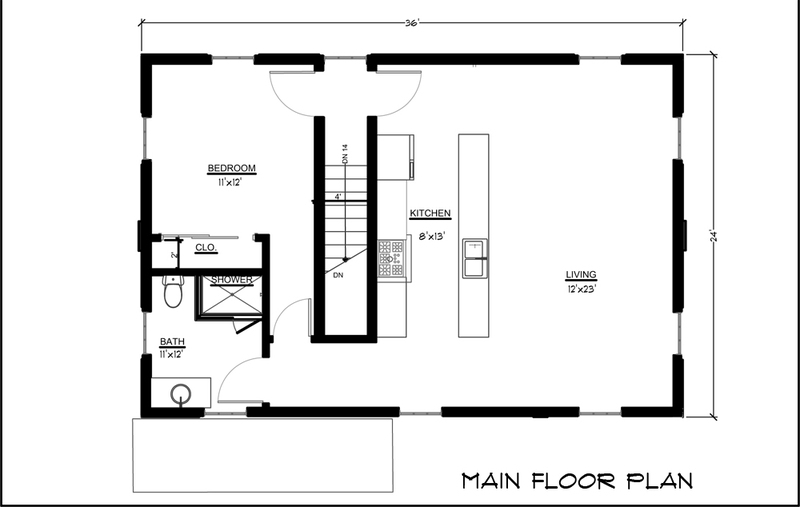 We can modify or enlarge any of these plans to suit your needs, contact us for more information. 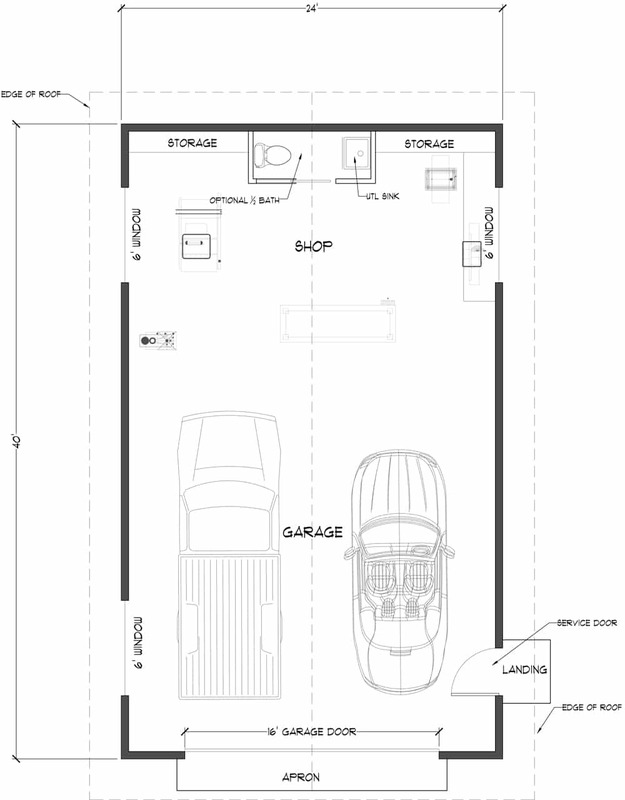 A detached two car garage that can be expanded to include a shop, storage, toilet room or what every your needs are. 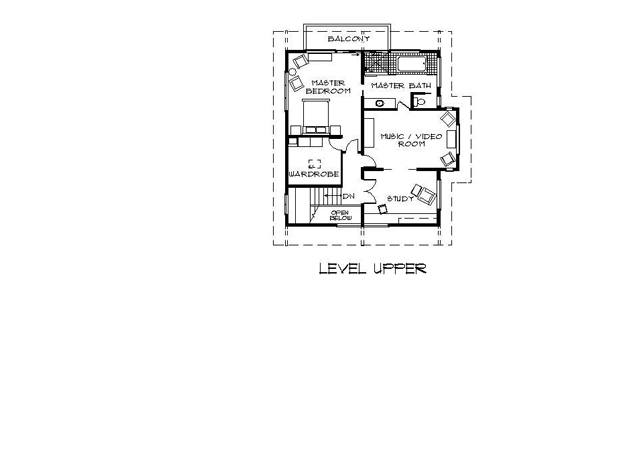 This attractive utilitarian structure can be modified to suit your personal needs. 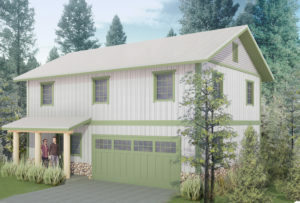 It can be attached to the house with a breezeway porch, has loft storage potential and the exterior look can be dressed up to match your house. 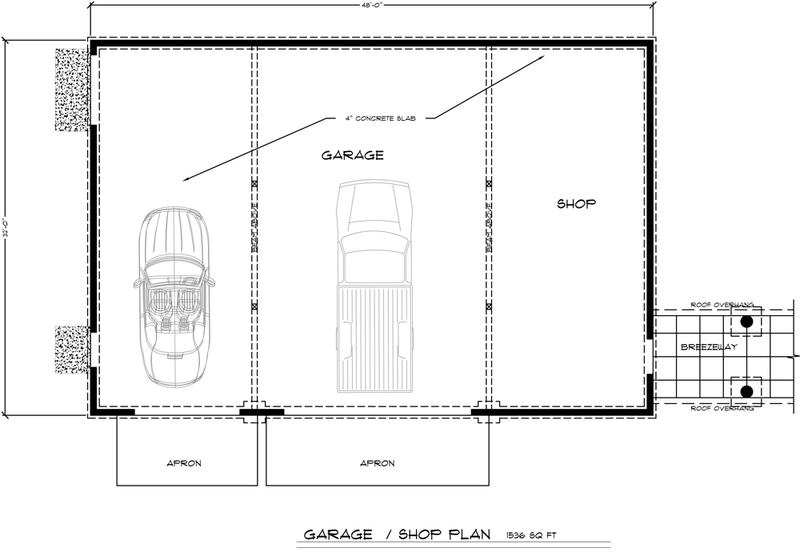 A "large enough" detached 2 car garage and shop with ample shop and storage for any man or women's needs. This handsome building can be used for a shop, stable or, manufacturing. 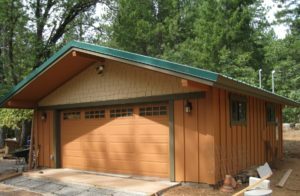 It can easily be enlarged, attached to a home and the outside can be finished in any style to suit most any aesthetic or utilitarian needs. A multi-use utilitarian building with a two car drive - thru breezeway and shop, storage, or work room spaces on each end. 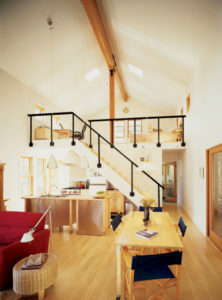 This modern looking utilitarian building has great day-lighting as well as "curb appeal". 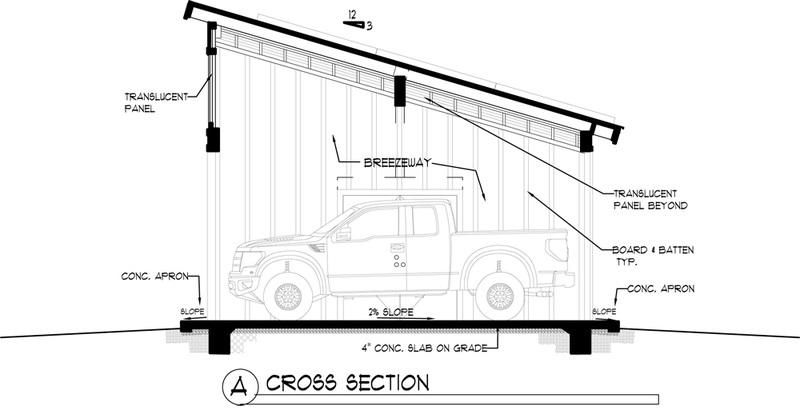 The raised breezeway can be an outside sheltered exercise, play or work space and the side rooms can easily handle any families extra space needs. The exterior can be finished in almost any style, materials and colors to suit your taste. 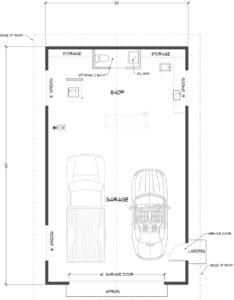 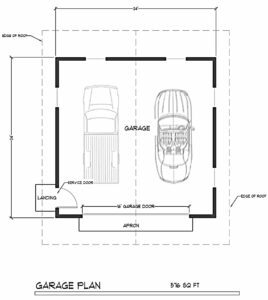 A detached 3 car garage with ample depth, and width, for large vehicles, with a complete shop or storage space; it is designed to be attached to the house with a breezeway. 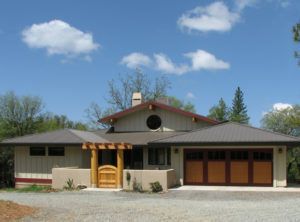 The exterior materials can be selected to match any architectural setting.